We all have bad days, and everyone needs something a little different to pull them up from a bleak mood. 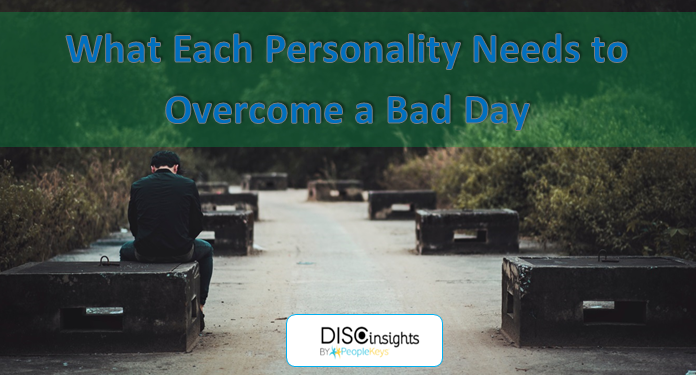 If a loved one, coworker, or friend has a hard day, knowing their DISC profile can help you determine an initial course of action to turn a case of the blues around. D – After a challenging day, the best way for Ds to blow off some steam is with an evening of high-intensity running, team sports, or competitive fun. After they burn off all that negative energy, they will be ready to strategize for the future. Each new day is an opportunity for a do-over and to achieve even greater success. Focus on conquering tomorrow! 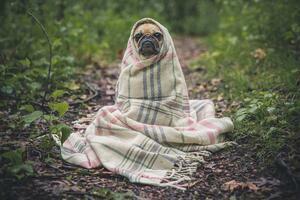 I – When an I has a bad day, they might take it particularly hard. After all, they usually have the ability to move on quickly and formulate a positive spin for almost any situation. A night out with friends, fun, and laughter will bring an I back around. Be sure to mention how amazing they look! S – When an S has a hard day, you might not realize it unless you are paying close attention, since S personalities will often hide their emotions –- silently suffering. If an S that you love has a particularly bad day, a hug, a quiet dinner, a movie, and some one-on-one quality time will bring them back around. If they are not in the mood for social time, a massage and steam may do the trick! C – Since Cs hate feeling like failures, a bad day can really throw them off track –- especially if they feel responsible. After some time to process their day, you might present them with a few ideas to lift them from their funk. Brainstorming, planning, and focusing on the details of how to attain success will be the winner here. When you approach someone with their DISC personality style in mind, you are showing how much you truly care. Forget what works for you and focus on what works for them!